The Hood River Inn has three public golf courses nearby. The beautiful, challenging 18-hole Indian Creek Golf Course is just a few miles from the Inn. 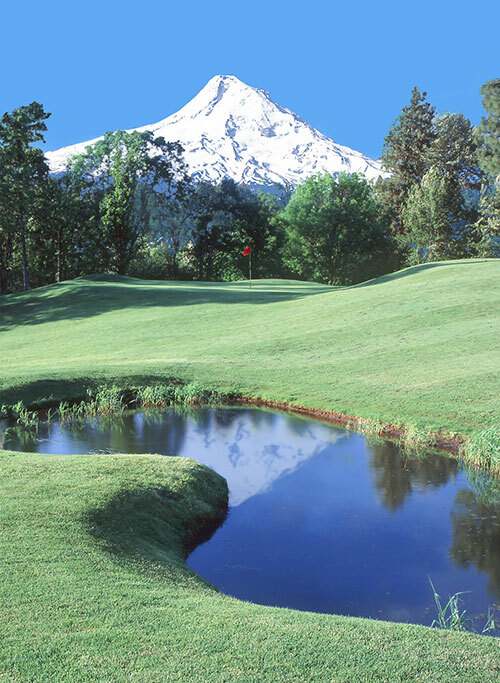 Also, Hood River Golf Course, locally known as "the old course," has been serving golfers since 1923, offering incredible scenery and a relaxed atmosphere five miles from the Inn. And finally, about 18 miles east of us in Carson, WA, is Elk Ridge Golf Course, a newly-resculpted links style course, also with incredible views. Enjoy breakfast at Riverside before golf and refreshments at Cebu afterword.